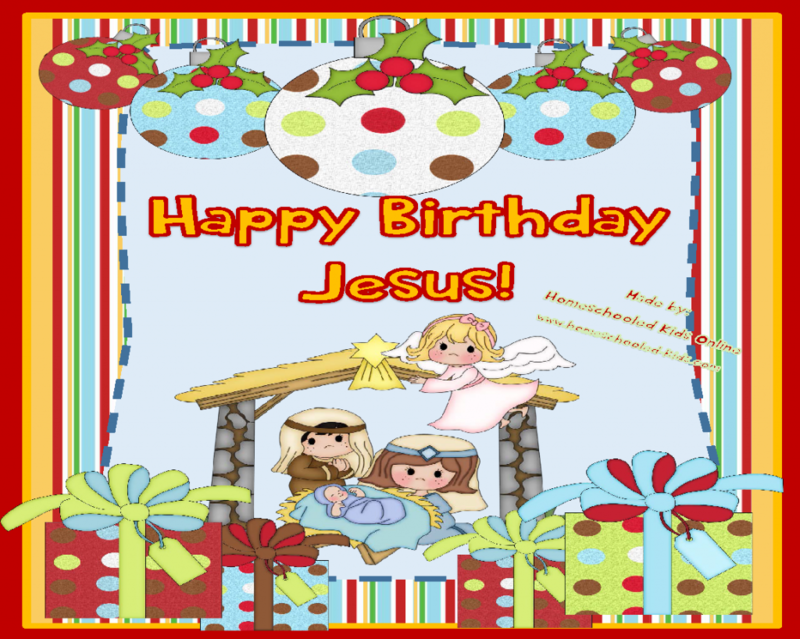 FREE Printable Packet includes a worksheet and a special “Happy Birthday Cake” recipe for Jesus! 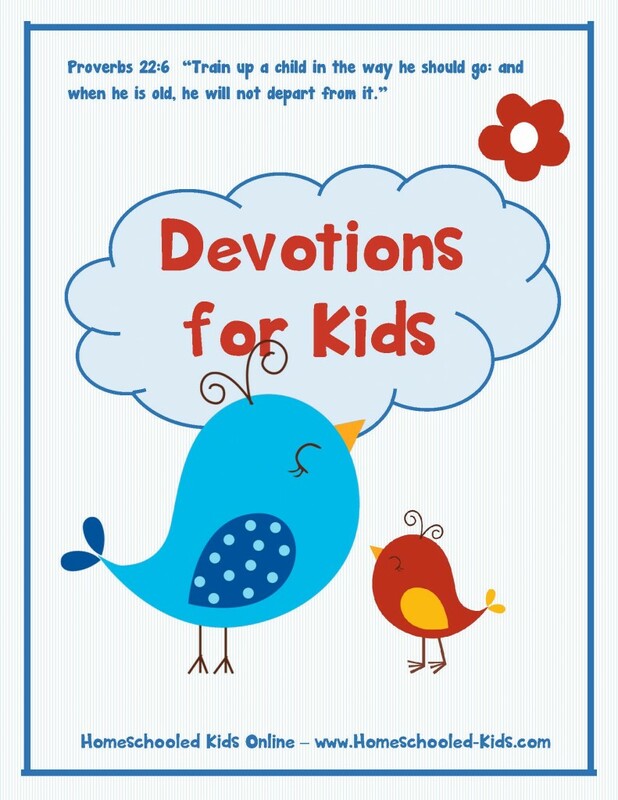 This “Happy Birthday Jesus” devotion is FREE – All we ask is that you take the time to RATE the product and write a quick review. We pray that as you and your child read and celebrate the birthday of Jesus together that you will be blessed. We hope you have a wonderful holiday season, full of all the blessings and JOY that Jesus brought with His birth in the manger. 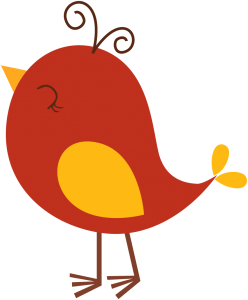 We learn from Isaiah, the prophet, that a baby will be born. Notice that Isaiah says that “to us” a child is born and “to us” a son is given. Isaiah is telling us that God sent His son to US as a gift. God loved us so much that He gave us His only Son as a gift! We also learn from Isaiah that “the government will be on his shoulders.” Jesus came to earth as a tiny little helpless baby in a manger. Jesus died on the cross for our sins and suffered for us so that we can one day live in Heaven with Him forever! One day, Jesus will come AGAIN to earth. When Jesus returns to earth, He will not be a tiny little helpless baby, but He will be a King. Jesus will be the King of the world and every knee will bow to Him and call Him Lord. What does “Wonderful Counselor” mean to you and me? The dictionary defines counselor in the following way: a person who gives advice. We all know what wonderful means but the dictionary says that wonderful means marvelous and admirable. When Jesus came the first time, He gave wonderful advice and he performed marvelous miracles during His lifetime. Jesus has not changed. Jesus is still a wonderful counselor to you and me. We can talk to Him anytime! If you need help or advice, call out in prayer to the “Wonderful Counselor” and He will answer you. Another name given to Jesus is “Mighty God.” The dictionary tell us that mighty means powerful and strong. We know that God is the creator of the entire universe and everything the universe contains. “Mighty God” means that we have a POWERFUL and STRONG God. What God is also telling us is that Jesus IS God inside a human’s body. This is a powerful verse! Jesus came to earth as a “Wonderful Counselor” and He was and IS “Mighty God.” Isn’t it comforting to know that OUR GOD is always there to give us advice and that He is STRONG and POWERFUL! Nothing is impossible for OUR GOD! Another beautiful name of Jesus is “Everlasting Father.” The dictionary tells us that everlasting means to last forever. Jesus is the “Father of Forever.” By being our Father forever, we know He will always be there. Jesus will never leave us or forget about us. Jesus loves us with a perfect love – even more than our earthly fathers. Jesus has an unconditional love. Unconditional means that Jesus loves us NO MATTER what we do. There is no sin that God won’t forgive! There isn’t anything that we can do to make Jesus love us more…..or less. God’s love is unconditional. God loves because God’s love is perfect. The last name we learn about in verse 6 is “The Prince of Peace.” What is a prince? A prince is a son of a king. Jesus is THE SON of GOD! Our Prince is THE greatest Prince! Jesus is the “Prince of Peace.” The word peace means no war, harmony, and freedom from unhappy thoughts or feelings. Jesus came to earth to bring us peace and JOY. Jesus stays the same and He still wants you to feel a sense of peace. If you are sad or scared, you can talk to God and ask that the Prince of Peace fill you peace and happiness. In verse 7 from the above passage, we learn more about this little baby that is to be born in a manger. Isaiah tells us “Of the greatness of his government and peace there will be no end.” We learn that the kingdom of Jesus will be GREAT and PEACEFUL! The best news is that the Kingdom of Jesus will NEVER end. When Jesus returns to earth, His Kingdom will last forever. Isaiah also tells us “He will reign on David’s throne and over his kingdom, establishing and upholding it with justice and righteousness from that time on and forever.” Jesus will rule on King David’s throne and over his kingdom. We learn that Jesus will rule with justice and righteousness forever. Justice means “fair” and righteousness means to act in a good and proper way. When Jesus is King, He will be fair and He will act in a righteous way. will accomplish this.” The word zeal means “eager desire in going for a goal.” The Lord is eager to make sure that the words above happen just as they are written. These two verses which predict the birth of Jesus give us so much hope as Christians. We learn that God loves us. God loves us so much He gave us the GREATEST Christmas gift we will ever receive. God sent us His SON so that we could be forgiven. We also learn that Jesus IS God in human form. Jesus is always there to give us advice and guide us in life. Jesus IS God and He is powerful. Nothing is impossible for OUR GOD! Call out to Him when you need help and He will answer you. We know that Jesus is the “Father of Forever” and that He will never leave us. The last name Isaiah gives us in verse 6 tells us that Jesus came to give us peace. The Kingdom of Jesus will be one of fairness and goodness. The Kingdom of Jesus will last forever! God, The Father, is EAGER to make this promise come true. We can always believe the promises of God because they ALWAYS come true. One day, Jesus will return as a great and powerful King. This Christmas, keep your eyes on Jesus, the baby who was born in a manger, and the Coming King! Christmas is so much more than presents! Christmas is a birthday celebration and Jesus deserves to be invited to His own party. Each day of Advent, the days leading up to Christmas, focus on the real meaning of Christmas and God will bless you and you will have the GREATEST Christmas you have ever known. 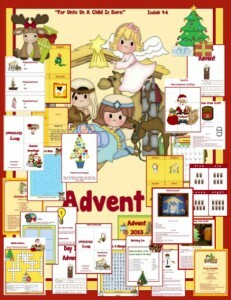 Our Advent Celebration for Families - A Printable Packet with over 400 pages celebrating the true meaning of Christmas. The Greatest Gift – Follow along with Rudie on his quest to discover the true meaning of Christmas. Our “All About Jesus Christmas Celebration” - A massive celebration of the birth of Jesus!